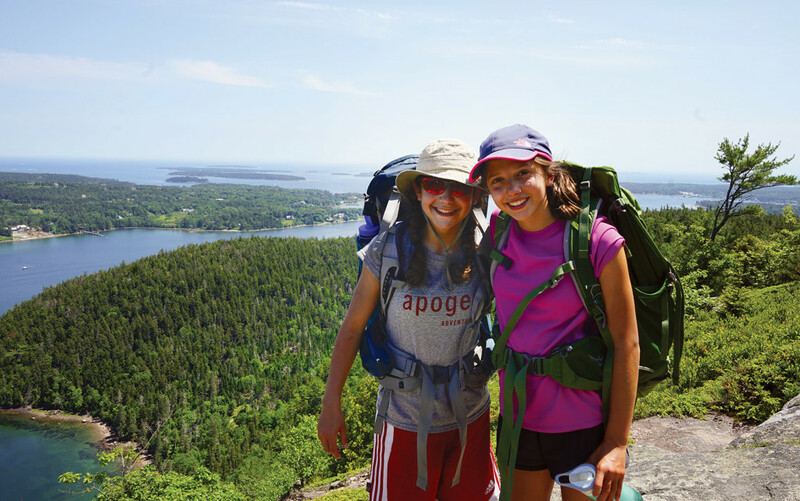 By land and by sea, this action-packed hiking, backpacking, and kayaking adventure offers the best of Maine. 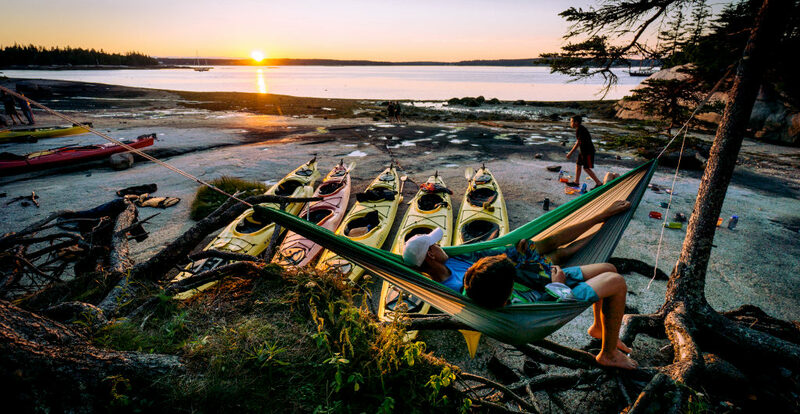 On this goal-oriented trip, you’ll sea kayak spectacular Isle au Haut Bay, help clean up coastal habitats, hike world-famous Acadia National Park, and summit Mount Katahdin, Maine’s tallest peak. Vacationers travel great distances to do just one of these amazing activities – you’ll do them all. What’s more? You’ll return home with incredible new friendships, stories to share, and memories to last a lifetime. Following introductions in Freeport, Maine, we’ll transfer by van to Camden, Maine, where we’ll get to know each other as we hike the hills of this picturesque seaside town. Heading farther “downeast” to the rocky shores of Stonington, we’ll shove off in sea kayaks and paddle for three days among the beautiful islands of Isle au Haut Bay. In coordination with the Maine Island Trail Association, we’ll clean up marine debris from the surrounding islands and help maintain the Bay’s pristine beauty. At night, we’ll camp on quiet islands, eat together under windswept pines, stargaze a light pollution-free sky, and wake up to the sound of seagulls, lapping waves, and working lobster boats. Feeling sea-sprayed and accomplished, we’ll come off the water and head for Acadia National Park, where “the mountains meet the sea.” Here, we’ll lace up our boots and hit the trails, quickly discovering why Acadia is one of the most visited National Parks in the country. We’ll embark on some spectacular and iconic hikes and enjoy views of panoramic ocean vistas and endless forests. One of the highlights of our time in Acadia will come during our sunrise hike of Cadillac Mountain, where we’ll be among the first people in the country to watch the sunrise on the eastern seaboard, soaking in the deep oranges, crimsons, and violets. After three days of hiking Acadia’s friendly trails, we’ll be ready for more rugged landscapes. Our multi-day backpacking excursion in the north Maine woods will take us on a section of the famed Appalachian Trail, through silent forests and past ponds where moose gather. 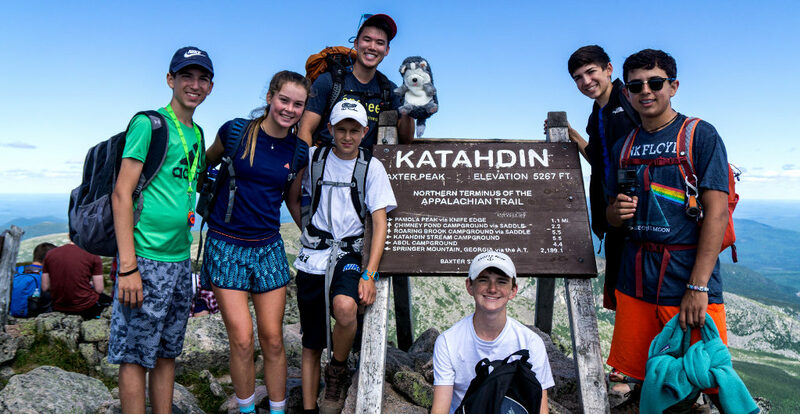 Upon arrival in Baxter State Park, we’ll embark up the rocky terrain of Mount Katahdin, the northern terminus of the Appalachian Trail and the highest peak in Maine, providing stunning views of Maine’s expansive wilderness. Our biggest challenge conquered, we’ll head back to Portland to explore the Old Port and enjoy a celebratory dinner out on the water. How physically challenging is DEX? Given a rating of Challenge Level 4 (out of a maximum of 10), we consider DEX to be an intermediate hiking trip that any moderately fit, motivated student can successfully complete with some preparation. Compared to similar hiking trips, we believe that DEX is slightly more challenging than New England Mountains & Coast and Colorado’s Rocky Mountains (mostly due to trip length, the challenge of climbing Mount Katahdin, and carrying substantial weight during the backcountry portion on the Appalachian Trail), but just a bit easier than our California Mountains & Coast trip. Please note that all of Apogee’s Challenge Levels are not scientific and are subjectively calculated by the Apogee staff. The group will be camping every night over the course of the trip; they will spend eight nights in established, front country campsites, and four nights in the “backcountry” (two nights island camping and two nights on the Appalachian Trail). Leaders will separate students by gender into tent groups, and will rotate those groups several times over the course of the trip. Students will share a tent with one or two other students. What is the difference between front-country and backcountry hiking? What will the backcountry portion of DEX be like? How much weight will my child carry during this portion? Generally speaking, the front-country is any area that is easily accessible by vehicles and day users. Hiking in the backcountry, on the other hand, involves hiking and camping in more remote locations without running water. Hiking and camping in the backcountry requires more preparation because of the need to carry in all food and equipment, and to treat drinking water prior to consumption. Our DEX trip has two backcountry portions: a two-night sea-kayaking expedition, where the group will island-camp, and a two-night backpack on the Appalachian Trail. Your child should expect to carry somewhere between 20 and 30 pounds in their pack during the Appalachian Trail section. The specifics of our community service projects and the number of hours we volunteer varies slightly from year-to-year. In the past, we have worked with the Maine Island Trail Association on a variety of tasks, including trash pick-up and beach beautification on various islands during our sea-kayaking portion. Students can expect 3-5 hours of community service work over the course of our trip. Apogee’s tuition costs are meant to be all-inclusive and include all meal, accommodation, and activity fees. The most significant additional expenses on our Maine’s Downeast Explorer trip will include travel to and from Portland, ME, a sleeping bag and sleeping pad, a backpacking pack, and hiking boots.